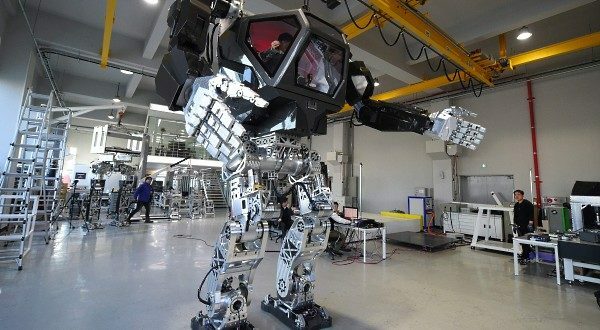 Korean Method-2 Giant Manned Bipedal Robot (GMBR) Exo-Bionic Exoskeleton for Future Warfare: Future Soldier/Warfighter Going ‘Avatar’-Style with Armored, Armed/Weaponized and Camouflaged Variant? | DefenseReview.com (DR): An online tactical technology and military defense technology magazine with particular focus on the latest and greatest tactical firearms news (tactical gun news), tactical gear news and tactical shooting news. Korean Method-2 Giant Manned Bipedal Robot (GMBR) Exo-Bionic Exoskeleton for Future Warfare: Future Soldier/Warfighter Going ‘Avatar’-Style with Armored, Armed/Weaponized and Camouflaged Variant? First, there was Ripley in the United States Colonial Marines’ Caterpillar P-5000 Powered Work Loader a.k.a. Power Loader fighting the Xenomorph Queen onboard the USS Sulaco in Aliens. Then, there was Hell’s Gate security chief Col. Miles Quaritch fighting fair Na’vi maiden Neytiri in an AMP (Amplified Mobility Platform) suit on Pandora in Avatar. 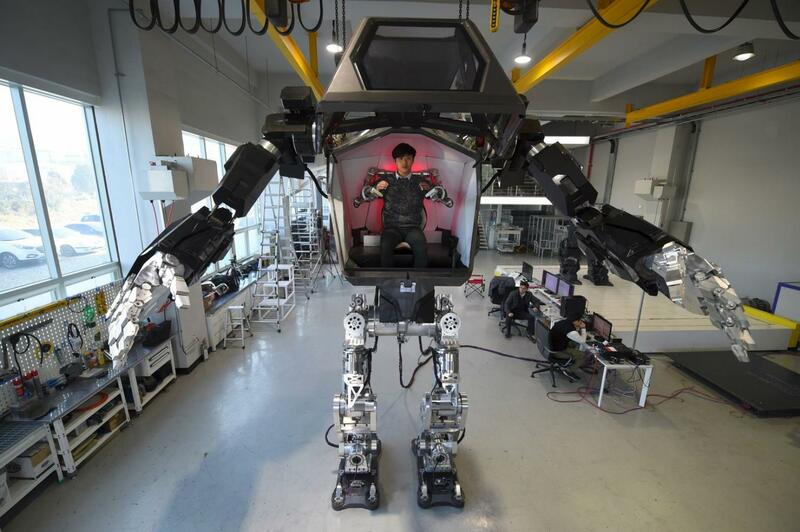 Now, there are a bunch of South Korean guys (engineers, presumbably) at South Korean robotics company Hankook Mirae Technology (HMT) designing and developing the 13-foot-tall, 1.5-ton Method-2 Giant Manned Bipedal Robot (GMBR) exo-bionic exoskeleton, with arms that weigh 286 lbs (pounds) apiece, in the real world, and HMT company chairman Yang Jin-Ho seems pretty excited about it. Yang’s so excited about it, in fact, that he’s apparently already put about 242 billion won (that’s $200 million) into the program since 2014 to “bring to life what only seemed possible in movies and cartoons”. DefenseReview (DR) appreciates Yang’s and HMT’s enthusiasm and futuristic vision, and we hope the manned robot/exoskeleton really works. While the Method-2 is essentially a developmental prototype of the giant bipedal robotic technology, Yang claims the robot will be available for sale in 2017 for about $8.3 million. In theory, the Method robot series should eventually be able to do everything the fictional AMP suit can do, including gunfighting and knife fighting. Now, that would be something. It would of course be nice to see an American-designed-and-developed armed and armored/weaponized (and camouflaged) version at some point for future infantry warfare applications (and just in case we ever have to fight our own Terminator robots in a human versus robot death match), but whatever. At least the South Koreans are U.S. allies and trading partners. Defense Review’s going to keep an eye on this one. Rise of the Robot Soldier and Squad X Core Technologies (SXCT): ‘Terminator’-Like Artificially-Intelligent (AI) Cybersoldiers and Drone and Boat Swarms to Augment Infantry Warfighters with Total, Multi-Perspective 3D Battlefield Awareness, or just Kill all of Us? Will AI (Artificial Intelligence) and Super-Intelligent Robot Soldiers Save Us, or Kill Us? Spinel Transparent Aluminum Armor (Body/Facial Armor and Vehicle Armor) and Optics for Future Soldiers/Warfighters! FLIR Systems/DJI Zenmuse XT Stabilized and Gimbaled Thermal/IR (Infrared) Camera Going on DJI Inspire 1 and Matrice M100 Quadcopter/Quadrotor Mini-UAS/UAV/Drone Aircraft Platforms for Security and Surveillance Operations: Sees Through Smoke and Fog!